Travelling with children means plenty of laughter and a great atmosphere. Children are experts at making sure adults have a fantastic time. They are sure-fire fun! The thing though when going on holiday with children, you need to adapt to them a bit, to their tastes and their priorities. Children, especially young ones, prioritise play over pretty much everything else. Quite simply, they prefer a day splashing in the pool to going around museums. But that doesn't mean that we adults have to adapt unconditionally to do what they want all the time. You need to find a happy balance and a combination of activities that makes everyone happy. 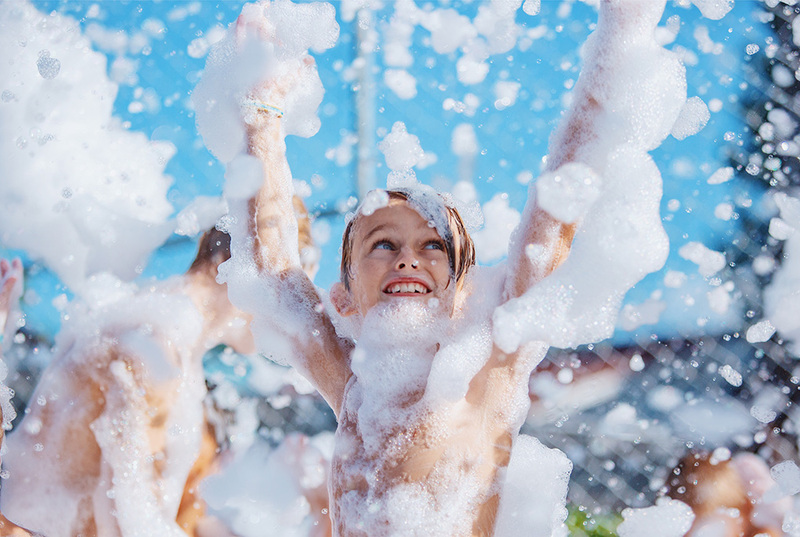 That's why it's a good idea to look for a family hotel, where games and activities are organised for children to ensure they can have a fantastic time. Children find it hard to get used to foods, textures and ways of cooking that are different to what they are used to. The best option to avoid problems is to go for an all-inclusive option, with a buffet and children's menus. Young children can get overwhelmed in the city; it reminds them of everyday life. That's why a beach or mountain destination, with plenty of nature around, is sure to excite them. In a natural setting, they will be able to try out a range of activities that they can't during the rest of the year - which enables them to properly switch off. They need to as much as we do! But what children really want - the thing that will ensure they remember the holidays forever - is doing things with their parents and with their brothers and sisters (if they have any). Bicycle routes, hiking, water activities or simply a game of ping-pong in the common areas of the hotel. Anything goes! At Hotels VIVA we have children's holidays very much in mind. And that's why we have hotels with strong family themes and a big emphasis on entertainment activities for kids. For example, at VIVA Cala Mesquida Resort & Spa we have the VIVA Kids Only Club which is separated into a Mini Club for kids aged 4 to 7, and a Maxi Club for children aged 8 to 11 . There's even a pool with pirate boat and water slides. The wide range of restaurants will delight both young and old. But we don't forget the adults either: there's the Balneum Spa, jacuzzis and wellness treatments. VIVA Cala Mesquida Resort & Spa is relaxed but, equally, it's fun. It's designed for children but without forgetting the needs of adults. The surroundings are also magnificent, and it's impossible to remain indifferent to such a magical cove in a tremendous natural setting.